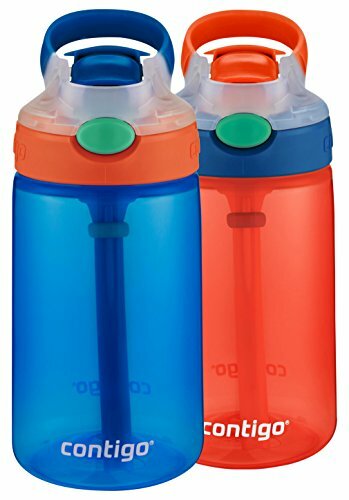 Like a spunky saturday morning Cartoon character, the Contigo AUTOSPOUT straw gizmo flip kids water bottle is the perfect spill-proof sidekick to all your kid's adventures (even the upside-down ones, thanks to the spill-proof valve). kids get a Kick out of pressing the button for the pop-up straw; plus, the protective spout cover helps guard against germs and messy situations (because let's face it, kids are the Greatest at covering their mouths when they sneeze). designed for kids ages 3 and up. If you have any questions about this product by Contigo, contact us by completing and submitting the form below. If you are looking for a specif part number, please include it with your message.